​Overwatch hero Doomfist received buffs in the latest patch to the game's Public Test Region, which went live Tuesday. Doomfist received buffs to his Meteor Strike, as the bonus movement speed increased from 150 percent to 200 percent. Besides that, the shield gain on his The Best Defense ability increased from 30 to 35 for normal abilities. "The increased movement speed on Meteor Strike gives Doomfist new options in how and where to deploy it," Blizzard wrote in the PTR patch notes. "His passive is also being increased, allowing him to survive more often when diving into enemies." 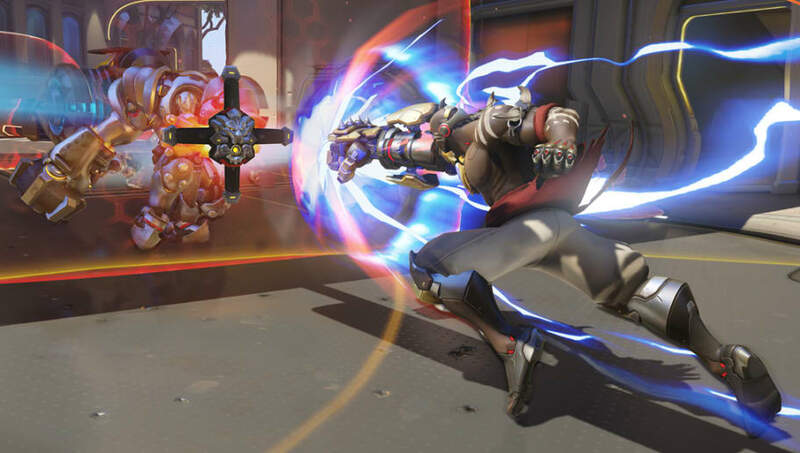 ​Overwatch game director Jeff Kaplan ​revealed in April he wasn't satisfied with changes that went to Doomfist's Rocket Punch that month. The hero had been largely untouched after those changes were implemented and then updated, and it will be interesting to see how the changes affect him in the meta. The Doomfist changes went live in the PTR on the same day as ​the long-awaited Symmetra rework also went live. Symmetra is no longer a defense hero and has a new ultimate ability, Photon Barrier. She is expected to deal more damage and be a more flexible hero for players to be able to use.